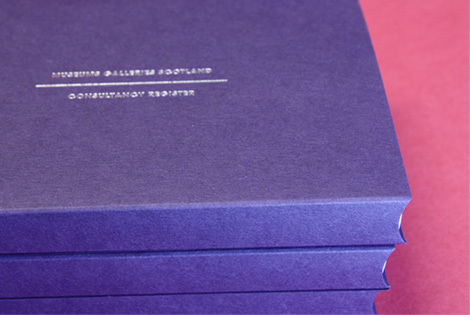 Museums Galleries Scotland is the National Development Body for the sector within Scotland. The organisation is the only one of its kind in Europe – a position that has allowed it to develop a unique set of skills and experience. In order to capitalise on this and commercialise their knowledge, Museums Galleries Scotland launched a new consultancy service. MGS decided to launch their new service at the European Museum of the Year Awards in Glasgow. 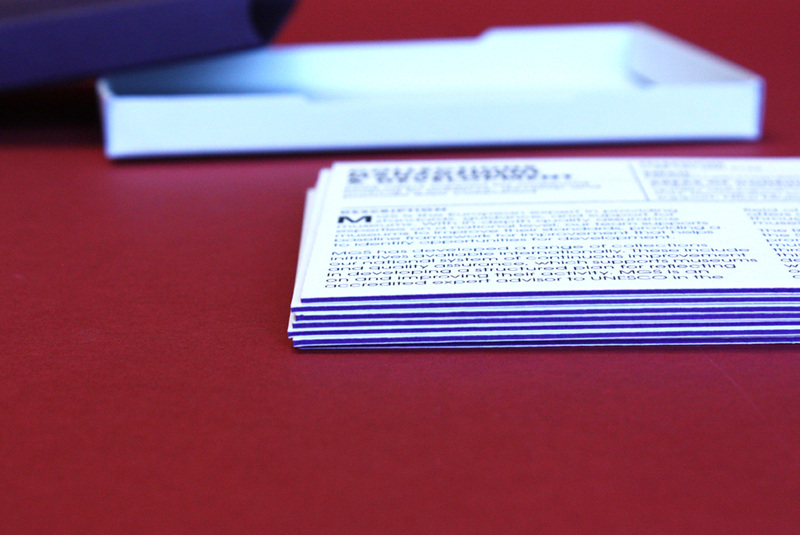 Identifying that his event would bring together many of their potential customers, they commissioned Morton Ward to design a sales brochure to promote their new service. 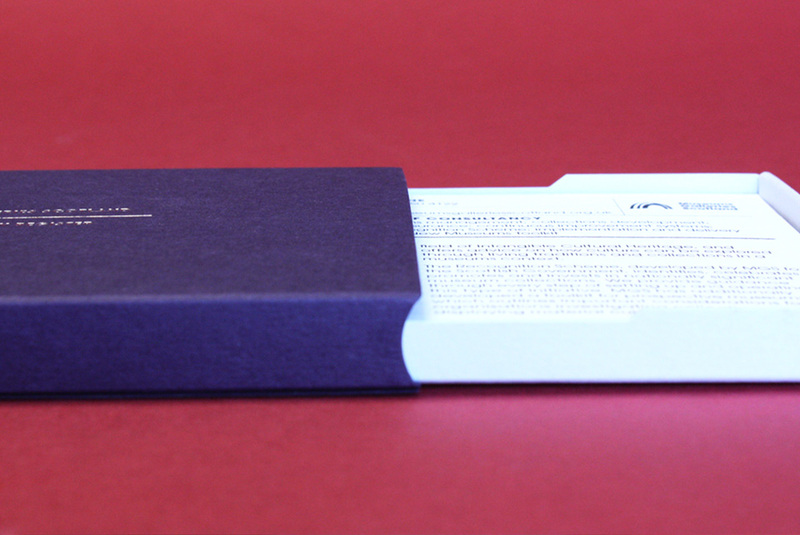 To capitalise on this opportunity, we decided to create a more unique and memorable piece of promotional print. 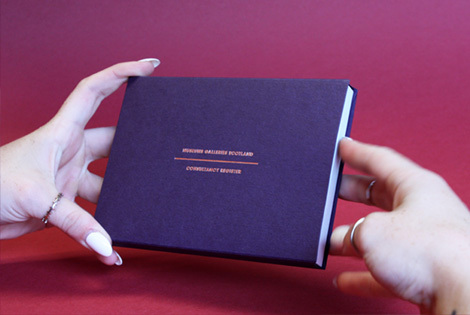 Our design inspiration came from historical systems used by museums for archiving and cataloguing artefacts. 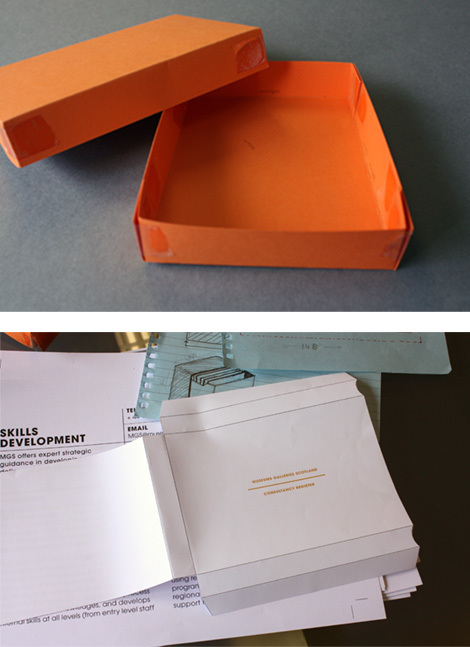 Each of the organisations strategic consultancy services was presented on an individual archive card with the cards housed in a box modelled on a catalogue drawer. 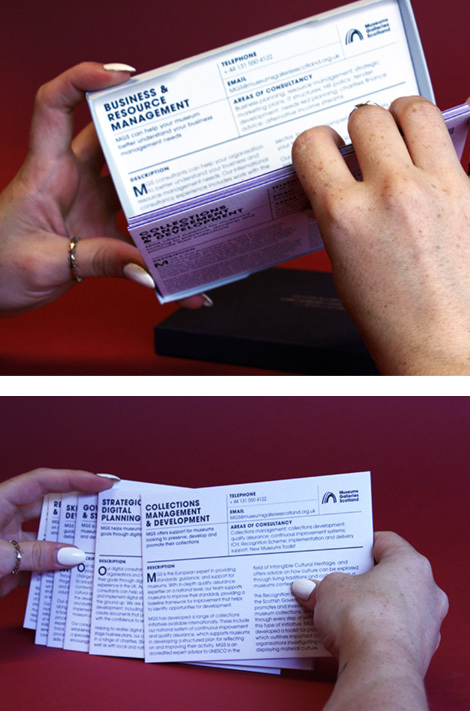 The result is an engaging and impactful piece of design. 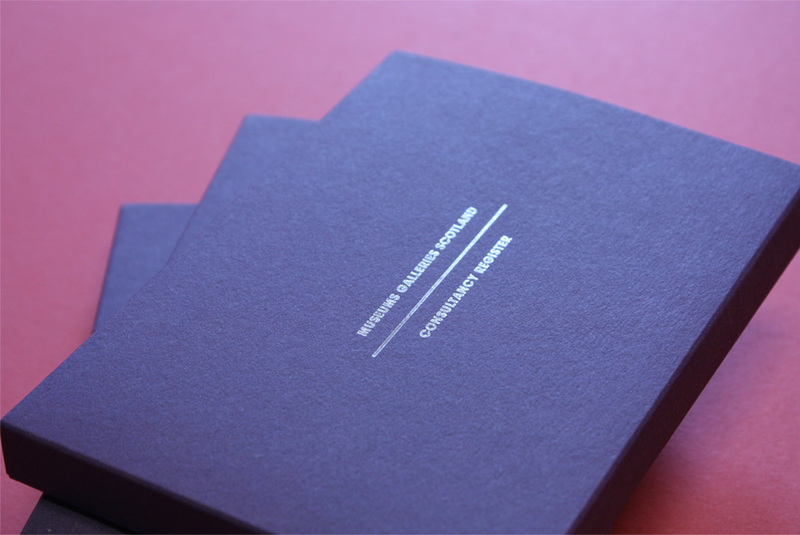 The introduction of the museums consultancy service to their key customers in this unique way generated more interest and had more impact than a simple sales brochure. This in turn has allowed Museums Galleries Scotland to start a conversation with many new and exciting customers.